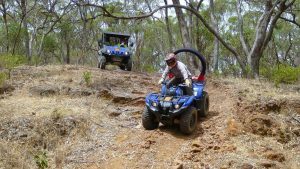 There’s no denying that ATVs offer great access to terrain that is too difficult for a traditional 4WD vehicle or on landforms that are too fragile. But with that capability comes a significant risk. ATVs in particular with no ROPS (Rollover Protection Sysytems) expose the operator to a greatly increased risk of serious injury or death if the vehicle isn’t ridden correctly. Similarly in the case of larger payload vehicles of the like of ARGO’s 6WD and 8WD wheeled and tracked vehicles, Kubota’s RTV and Yamaha’s Rhino/Viking utility vehicles, whilst ROPS are fitted, side intrusion may be an issue. 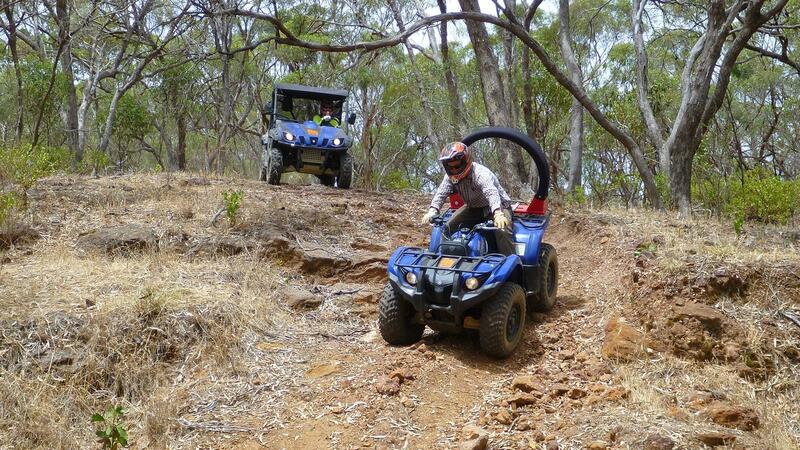 Adventure 4WDs ATV rider training programs are designed to suit your workplace and your environment. Whilst our Barossa Valley property in South Australia is the ideal venue for the practical skills development and will deliver consistent results, we can deliver at your site, anywhere in the country. To further assist in the development of life-saving skills of your riders/drivers we can supply PPE (Personal Protective Equipment) in the form of approved helmets and jackets and we have a fleet of five late model Yamaha Grizzly 450cc 4WD bikes (some fitted with the brilliant ATV Lifeguard ROPs) and a Yamaha Rhino 700 4WD side-by-side if you don’t have your own, available for hire on the nominated day. Have a look in the Courses section of this website to find your industry category and the standard ATV program to suit.